Responding to increased competition, Diebold developed a new, high-tech ATM machine called the iX. Working with event management company USMotivation, Snowball designed this promotion to invite the banking industry to a five-city road show tour. 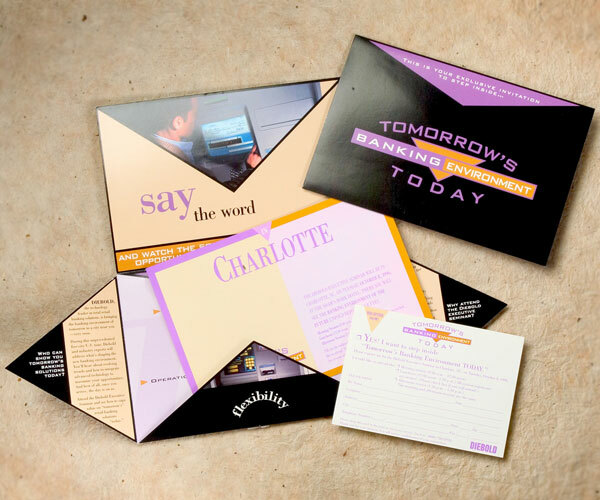 The invitation generated great response and helped position Diebold as the leader in ATM machines.